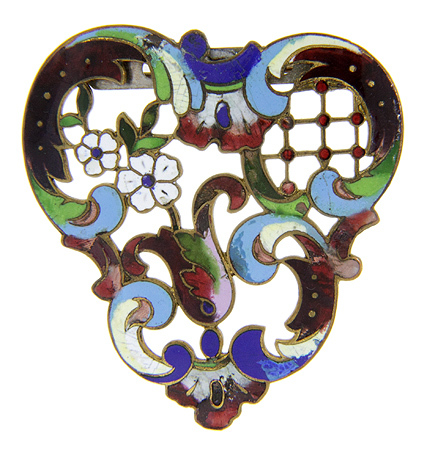 This vintage Art Nouveau champlevé pin with irregular borders has bright colors of enameling. 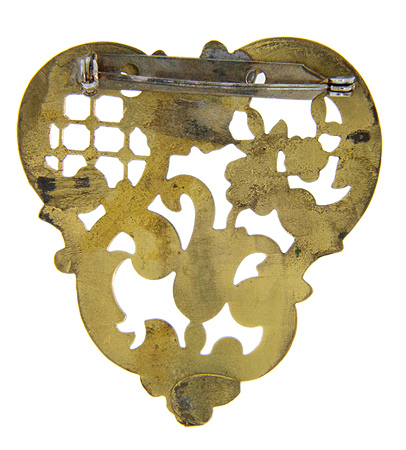 The enamel has a few small nicks, but it does not interfere with beauty of the pin. Circa: 1905.